I have started a blog on coins, and things coin collectors consider important. It is still a new blog, having been in existence about two months. I am finding it quite rewarding in being a pleasant experience, although it is not paying off yet. I am well aware it takes time, and a lot of content, for a blog to be found. Currently there are over thirty articles. The only unfortunate aspect of this is it has consumed much of my writing time, so I have contributed less to Wizzley in recent weeks. First, my affiliate programs have influenced my first articles. I have affiliate programs with several major mints. But, acquiring readers is more important, so I have written about coins from some mints that offer no affiliate program, such as the United States Mint and the Mint of Paris. One of the articles I have recently added is one on the rare occurrence of colorized coins from the Royal Mint. These coins were unknown to me until I did a search of the Royal Mint’s website. But, having found these coin sets, they have given me insight into the culture, history, and geography of the United Kingdom. Another article is on the new page on the Central Bank of Ireland’s website where Irish coins can be ordered. The page is recent, having been launched September 1, 2017, so many older coins are still available, with years dating back to 2004. It is a great find for anyone interested in Irish coins, and was only recently known to me. Hence, writing increases my own knowledge, which can then be shared. As often happens, one article leads to another. The coin page on the Central Bank of Ireland’s website had an entry on the European Silver Programme, also known as Eurostar. This led me to investigate the program, and that led to another article. I was trying to find out which world mints were searched for most and found the United States Mint was far down the list. Since I speak to local collectors, I thought it would be first. The Royal Mint came up first, with the Royal Canadian Mint, the Mint of Paris, and the Perth Mint also ranking. These, I conclude, are what people are looking for, so their products are most often discussed. It happens the Royal Mint has two addresses, one for collectible coins and the other for bullion coins. My articles provide pertinent links, so my readers can easily visit the mint discussed in an article. My goal is to reach a large, international audience. So, this was a major find. Fortunately, I respect the products of the mints mentioned, so I am comfortable in promoting their coins. 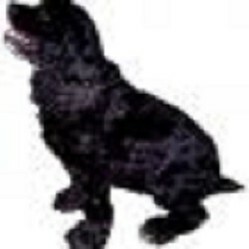 I hope to see those of you who are interested in coins, or just in learning something new, at my blog at http://www.blackspanielgallery.com/category/bsg-coin-news-articles/. All are welcome. We both work on the coins. The name comes from a very old dog, who really is black and a spaniel. blackspanielgallery, Thank you for the information. Does your son share your interest in coins? Is there a reason that you'd like to share publicly behind the name blackspanielgallery? Black spaniel makes me think that you like them, as I like black Labrador retrievers, even though the gallery component mystifies me. Quite right. I give him an equal share of whatever is harvested on the day and some more from what I harvest at other times. My second son gets gifts from the harvest, but not as much as the eldest. But his forte is cooking. You are right that families should work together. In your case it is with gardening, a physical endeavor. In mine, well I just am older than those who have gotten a greater amount of computer knowledge. I teach subjects that also require logical thought, but I do not write computer code. What need is often already developed. So, I cannot design a webpage. We are both fortunate in having the help. In my case he would share the profit if any money is earned. In your case I suspect your son would share the harvest. Families should work together, a concept often lost in this modern world. I know how you feel. My eldest son,aged 36, helps me,and as my body weakens as I age I begin to rely on his strength. .showed me how to add an article. But, the rest is not my forte. It is good to have someone to help you. Thanks. I write and my son handles the web site. It looks very professional and interesting. I hope it does well for you! Thanks. I read a blog needs about 16 new posts per month, so it is indeed a laborious process.